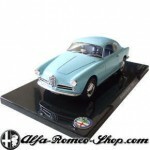 Now available, the Alfa Romeo GT 1.8 in scale 1:24. Excellent die cast model with opening doors, bonnet and boot. Especially the single gas damper for the bootlid is a surprising detail on this car. Alfetta GT fans will love it! SKU: magalfaalfetta. Category: Alftetta. Tags: 1:24, Alfetta. 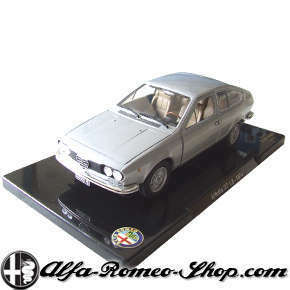 Alfa Romeo Alfetta GT 1.8 1974 in scale 1:24.